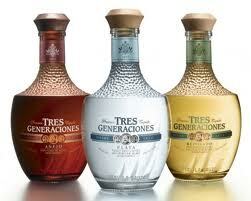 Tres Generaciones(R) Tequila Strikes Gold With Oscar De La Hoya/Golden Boy Promotions Partnership. Legendary Boxer to Partner with Beam Global’s Award-Winning Super-Premium Tequila. In what is sure to be a knockout success, Beam Global Spirits & Wine [Fortune Brands, Inc. (NYSE: FO)] and Tres Generaciones(R) Tequila are pleased to announce a long-term partnership with celebrated boxer and entrepreneur Oscar de la Hoya. Through the partnership, De La Hoya will be a business partner and brand ambassador for the super-premium tequila to consumers, media and trade. The partnership also includes sponsorship of boxing events promoted by De La Hoya’s promotional company, Golden Boy Promotions.